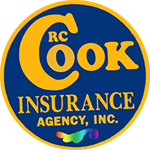 Get your free electricians insurance quote from RC Cook Insurance. Call 330-296-3628 for more information. We're located in Ravenna, OH. Ohio Electricians insurance keeps protecting you from any accidents that happen as an alleged result of work that you have done. In the electric trade, an electrician's insurance policy will keep working to protect you long after you have moved to the next job site.